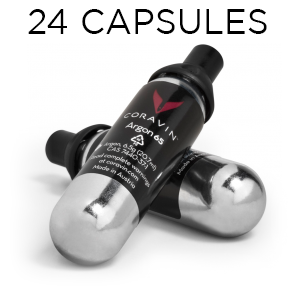 This package contains 24 Corvin capsules. 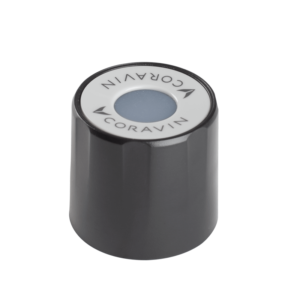 Coravin Capsules are specifically designed for use with the Coravin System, ensuring the perfect seal and the perfect pour every time. Pressurizing bottles with argon gas to pour wine a glass at a time, Coravin Capsules are the power source of the Coravin System, and a fundamental component of the Coravin Wine Access Technology. 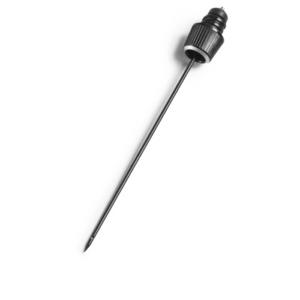 Argon gas – protects the remaining wine from oxidation. Argon is an inert gas that is regularly used during the wine making process, does not react with wine, and has no effect on the taste profile of wine. 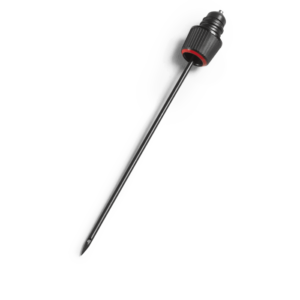 Proprietary cap – creates a perfect seal within the system so that even months after initial use, no gas will escape. Multi-glass capacity – allows you to pour up to fifteen 5 oz/ 15 ml glasses of wine per capsule.